There’s a one-time startup fee of $2.50/student (minimum $250/school). No way. After you pay the startup fee, the only thing you’ll need to pay is the monthly rate. Premium features such as EnrollMe, SmartSend Pro, or the extended data import may incur additional fees, but they are entirely optional. Do students who withdraw or graduate count towards my pricing? No. Only actively enrolled students are counted in your pricing bracket. See our pricing page for more details. How long does it take to set up Gradelink? How quickly the setup process is completed depends on how quickly you provide the appropriate data to Gradelink. That being said, most schools can be up and running in as little 5-10 days. Can you import our existing student data? Gradelink will import basic student information and class rosters as part of the setup process. However, extended data imports – including information such as transcript data – are available for a nominal fee. We will provide an estimate on request. 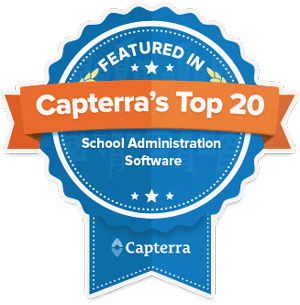 What if I’m switching from a different school administration system? Don’t worry, as part of setup we import your data, configure your account and provide full training for your staff. Trust us, we make it easy. My school doesn’t use Gradelink. Can I get an individual teacher account? While we don’t offer individual user accounts at this time, we’ll gladly demonstrate Gradelink to your school and provide information and assistance for presenting Gradelink to your principal/administrator/superintendent. Gradelink will provide login credentials to principals, administrators, or other IT staff upon receipt of payment and scheduling of implementation. If you are a teacher, parent or student whose school has implemented Gradelink, you’ll need to contact one of your school’s administrators to receive your login credentials. What happens if I lose or forget my username and password? Click “Forgot Password” to reset your password. If you don’t know your username or school ID, please contact one of your school’s administrators. For security reasons, Gradelink staff are unable to provide login credentials over the phone or via email. Can my son or daughter look at their grades? Yes! Gradelink offers separate parent and student accounts that both have access to student grades. Does Gradelink require special hardware or software? No. The only thing Gradelink requires is a stable internet connection. Most major browsers and operating systems are supported. Gradelink works fine over most broadband and 3G/4G mobile connections. Can I download Gradelink or use it without an internet connection? Does Gradelink work on mobile devices? Yes! As long as your device has an internet connection, Gradelink works on tablets and mobile phones. For parents and students, we also offer a free mobile app (available on iOS and Android) specifically designed for mobile devices. How many users can access Gradelink at once? There is no practical limit to the number of users that can be signed in to your Gradelink account at the same time. What happens to a student’s data after they graduate? Your school has access to your students’ final grades, transcript records and attendance records permanently for as long as you are a Gradelink subscriber. Who should manage Gradelink for our school? Anyone who is proficient using the internet and basic office applications can administer Gradelink. This person could be a member of the office staff, an IT teacher, the principal or even a teacher who is excited about using Gradelink. I am a very busy principal. How time-consuming is it to manage Gradelink? Not time consuming at all. Actually, Gradelink can end up saving you and your staff countless hours. After the initial setup process, moving from term to term takes just minutes. Most administrative tasks can be delegated to one of your staff members, but you can still use Gradelink to get information on any classroom, teacher or student at your school instantly. We handle the technical duties, including backups and updates, saving you valuable resources. We’re ready to get started. How do we begin? Call us at 800-742-3083, or fill out our demo form. We’ll be in touch shortly.